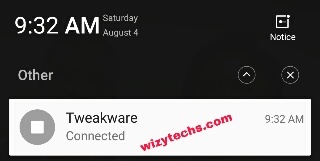 Guys, I am back again with a new tweak using another VPN called "Tweakware" to activate MTN free browsing cheat this August and September 2018. 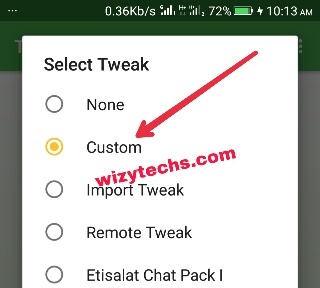 Already I have posted two different methods to enjoy this new MTN Browsing cheat but I noticed there are still some people that are yet to enjoy this cheat either because they can't import Spark VPN config file or they can setup Syponshield VPN. So I have provided yet another alternative settings and app to ensure that everyone enjoys it before MTN blocks the cheat. Although this MTN Browsing cheat 2018 is still capped at 10MB daily for majority users while very few lucky ones are blazing it unlimited 24/7 without limits as it can be used to power all apps and web browsers on your Android phone as well as your PC. You can actually use this app to bypass that 10MB limit by applying the necessary settings here. 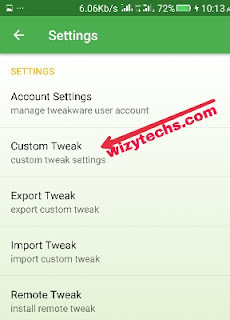 Tweakware is one of the oldest and popular VPN app that we have used to enjoy free internet in this blog wizytechs.com since the year 2015 including MTN 3GB 2go Cheat, MTN MusicPlus Cheat, 9Mobile Social Me Cheat and host of other tweaks. The app offers FREE and PREMIUM services so it's your choice to choose the one that suits you. The free service has only one server located in the United States and when the traffic gets congested, it frequently disconnects. Also there is ads popup from time to time but if you upgrade to Tweakware premium version, you get a premium account with Username and Password and you will have more servers to select from. There won't be adverts on the app and your connection becomes more stable. Without wasting much of your time, let's go straight to how to setup Tweakware VPN for this MTN tweak. ✔️ Use the default MTN APN settings as it is. Now having met the requirements above, apply the settings below to activate this free browsing. 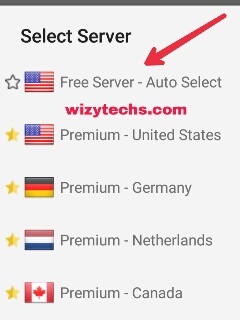 ✔️ Next, select the "free server" (if you are a free user) otherwise select one of the premium servers if you registered for premium account and hit the CONNECT button to start your free browsing. NOTE: Tweakware has a 350mb limit per day while in some versions, it's more than that but you can bypass it by following this tutorial. If you want to follow the officially legit method, you have to pay N1500 to the developer to have premium access. Remember to join our Telegram Group [HERE for more tweaks and updates. Happy browsing. It works but it's slow. Nice cheat,unbelievably it worked on my sim despite it being 4g, and the browsing is really fast.